Electromaax produces high output marine alternators and superior quality wind generators. Electromaax has appointed Power Equipment as the official distributor for marine alternators and wind generator products in the Australian, New Zealand and South Pacific markets. High output marine alternators and superior quality wind generators relevant to power and sail boats are part of a comprehensive range that Electromaax has to offer. Electromaax’s range of alternators can be retro fitted to a wide range of marine diesel engines. Providing optimum charge solutions to yachts, the models are therefore highly popular with cruising yachtsmen. Of their ability to generate 70% of their output at idle, typically around 500 to 600 rpm. They have a high output (up to 180 amps if required) capable of running electronics, AC appliances, water makers and refrigeration. 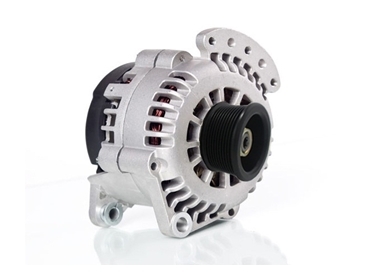 These Electromaax alternators commence at 80 amps and round out at 180 amps. Electromaax’s volt wind generators are specifically designed for the marine market. Operating in high wind speeds in excess of 45 knots the AirMaax models named AirMaax 12 and 24, are engineered to withstand the harsh marine environment. Two key issues which confront cruising yachtsmen, power outputs and low noises will be solved by these Electromaax wind generators. Cruising yachts and offshore racing yachts are highly demanding onboard power generation, to help drive an ever increasing range of electrical equipment. Constant energy in winds between 8 and 20 knots is what the designers purposely focused their engineering briefs towards. When the wind has a constant average of 15 knots you can achieve 200 plus amps output.